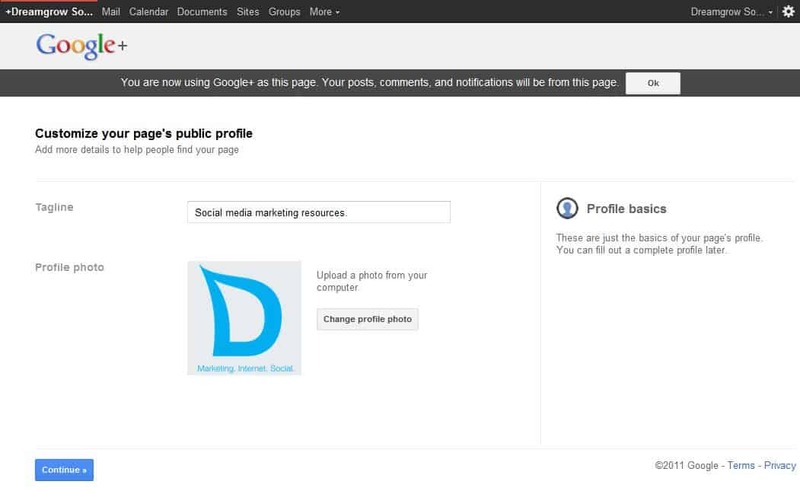 Google+ made brand pages available to everyone. We wanted to see first hand how to create one. 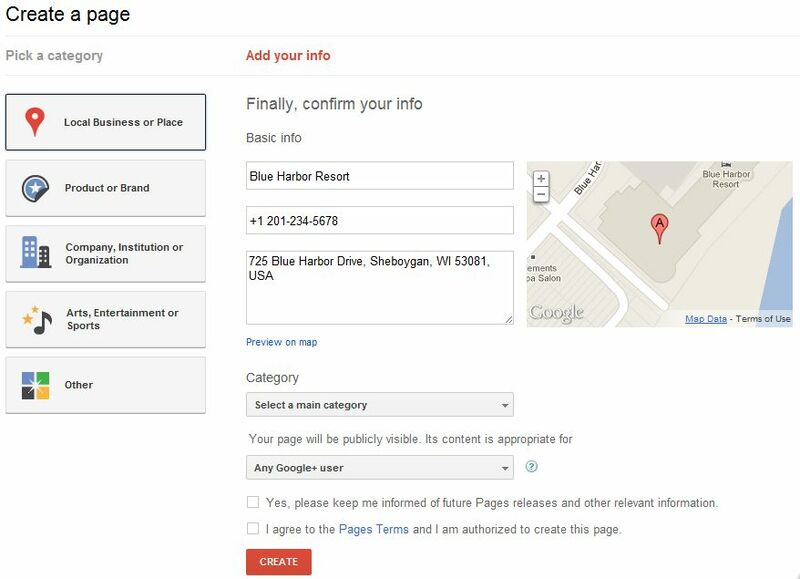 First you have to go here to Create a page. (Click on images for larger view). 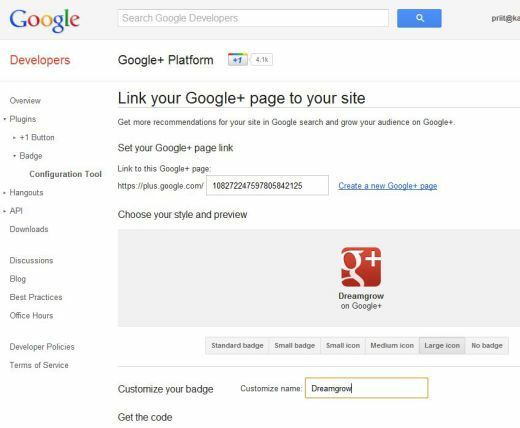 Get inspired by 13 Cool Examples of Google+ Brand Pages. Here you have several options for your new Google+ page. The first three are most relevant to businesses. For local businesses Google offers to locate your company through a primary phone number. Results depend on what Google knows about your business. Results are based on the phone number. 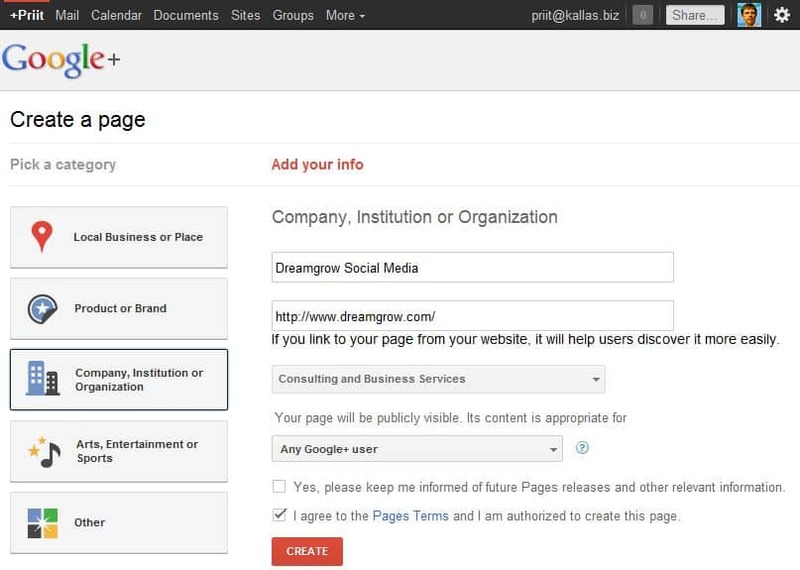 If the results contain your company, select it and finalize. If the location information is not important then you can select one of the two available options. The required fields are essentially the same. 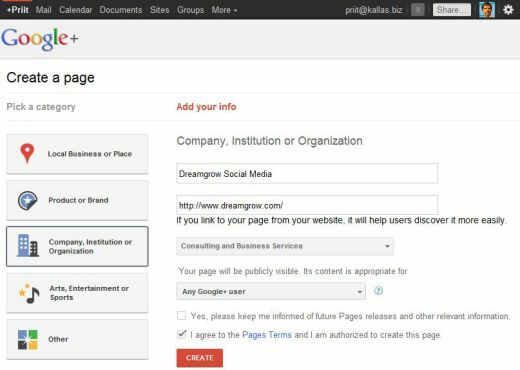 Type in the page name, website address (optional), select your field of business, select who can see your page and you are ready to go. Now enter the tagline for your page and profile image. The image is a square, make sure that you have something that will look great in that format. 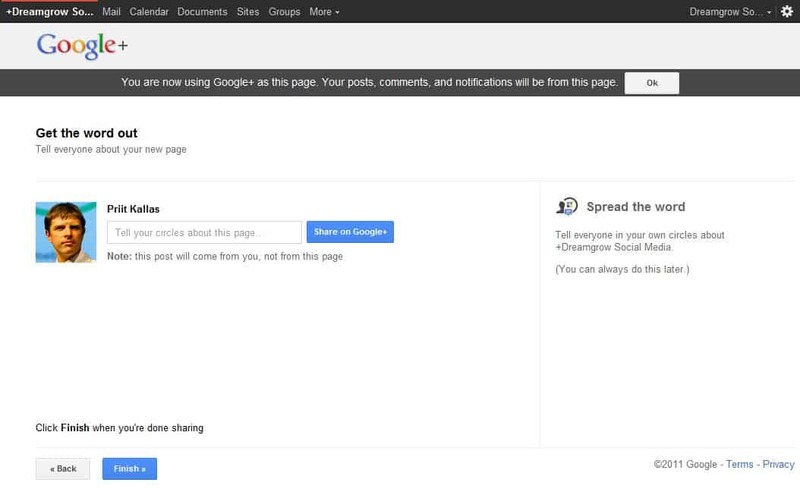 Next Google+ asks you to spread the word. 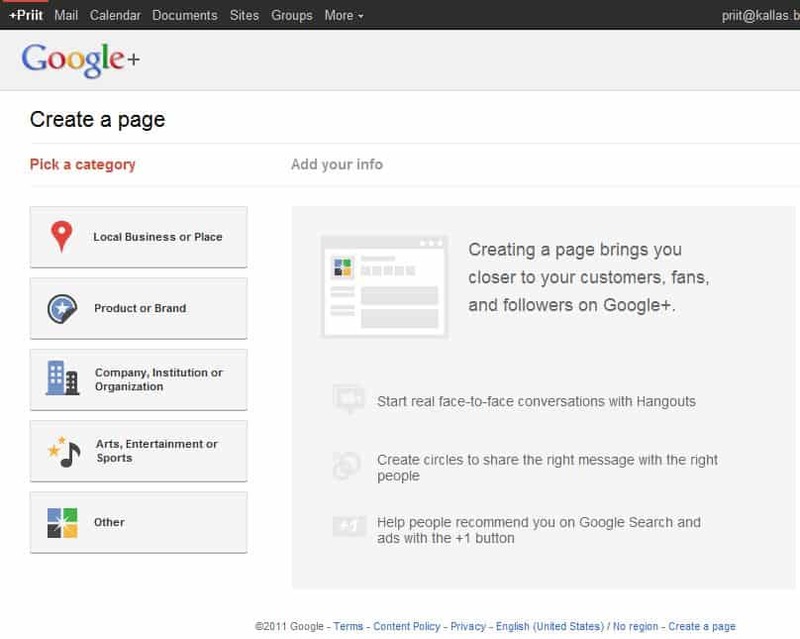 Your new Google+ page is now ready for action. Edit your profile by filling out the About tab. Add the pictures that will be featured in the header of your page to make it really stand out. You can find a step-by-step guide here. The next steps are laid out for you. 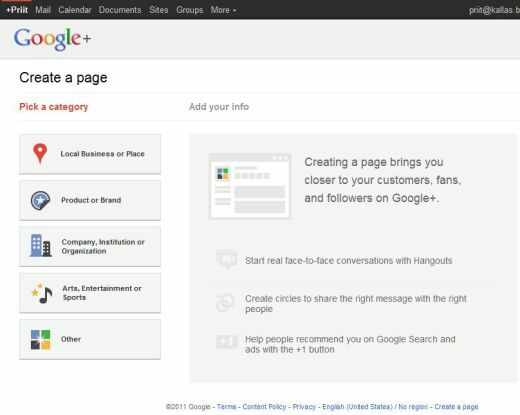 Start the conversation by posting first content on your Google+ page. 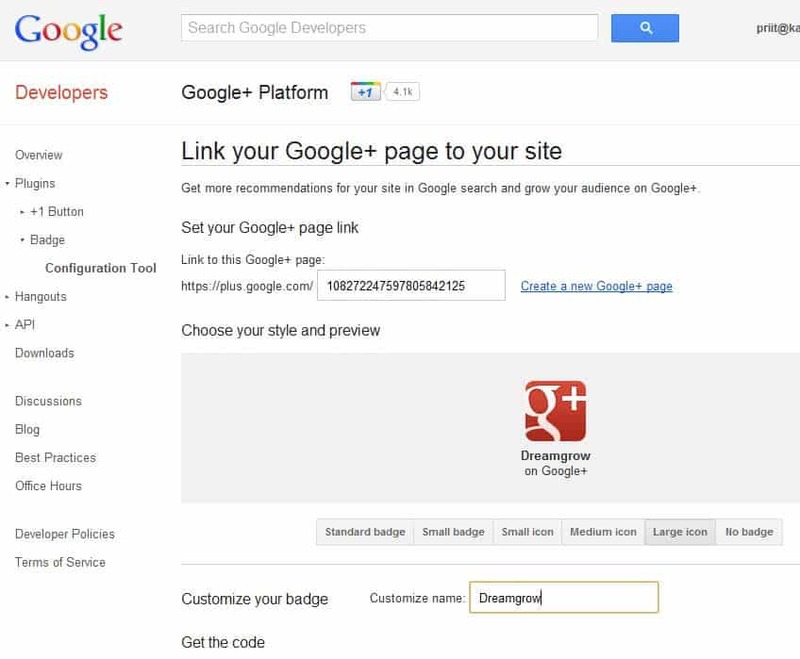 Connect your website to Google+ by adding a badge to your site. 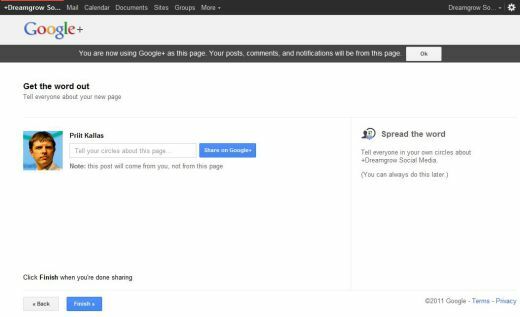 Tell the world by sharing the link to your page. Distribute everywhere you communicate online, to encourage people to add your page to their circles so your posts will appear in their stream. This link is not meant for humans and looks something like this https://plus.google.com/108272247597805842125. 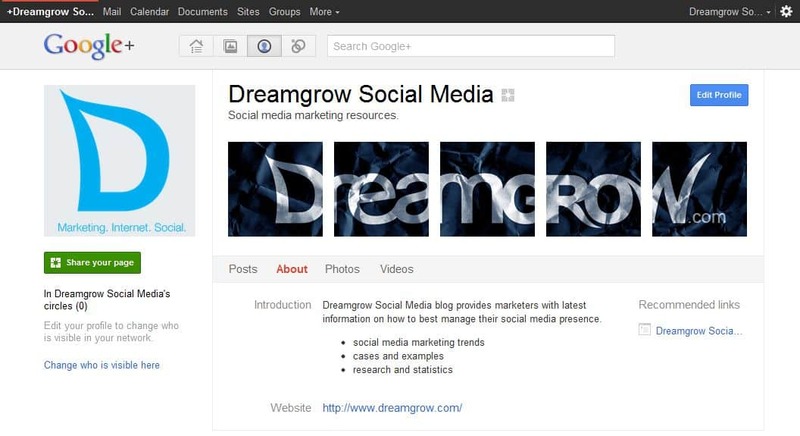 I wonder if there will be nicer links like in Facebook http://facebook.com/dreamgrow. Build your circles. Once people add your page to their circles, you can add them back. Use your circles to get the right message to the right people. …Are we even able to change the number when we create our page? It is a text field. Shawn, it really is this obscure number, even for the big brands like RedBull and others.